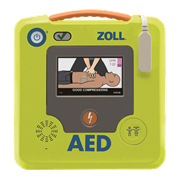 The New iPAD CU-SP1 is an easy-to-use Semi-Automated External Defibrillator (AED) that is small, light, and portable, and uses a battery. 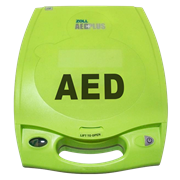 The AED automatically reads the patient's electrocardiogram (ECG) and determines if a cardiac arrest that requires defibrillation has occurred, so that both medical professionals and the general public can easily operate it. 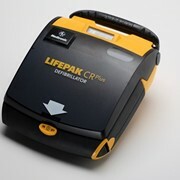 Cardiac arrest can occur anytime to anyone at any place and may threaten the patient's life if the appropriate CPR and/or electric shock with a defibrillator are not applied within a few minutes. 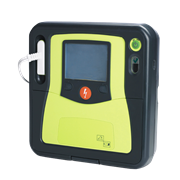 Designed to be used by minimally trained individuals, the iPAD CU-SP1 is suitable for use almost anywhere that people gather, whether it's within the workplace, a shopping centre or a hospital, the iPAD CU-SP1 makes saving lifes easier than ever. 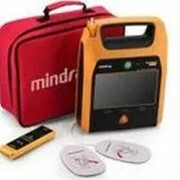 The iPAD CU-SP1 is a semi-automated external defibrillator (AED). 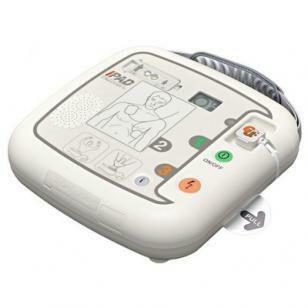 If connected to a patient, the iPAD CU-SP1 automatically acquires and analyzes the electrocardiogram (ECG) of the patient for the presence of Ventricular Fibrillation or Ventricular Tachycardia (also known as shockable rhythms). 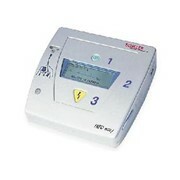 If a shockable rhythm is detected, the device automatically charges itself. 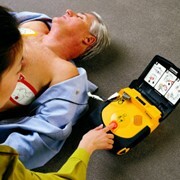 Defibrillating shock is delivered when the you press the SHOCK button. 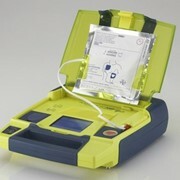 The i-PAD CU-SP1 is easy to use. It guides the you throughout a rescue operation using voice prompts and indicators (LED and graphical indicators). Charging time of 10 seconds. Auto volume adjusting, up to 90 decibels. Smart pads storage underneath the device (pre-connected in a clear compartment). 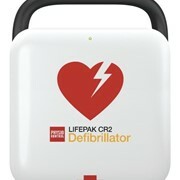 Smart CPR detection with voice prompts. Easy communication - Internal memory stores the last 3 hours of data to an SD card. 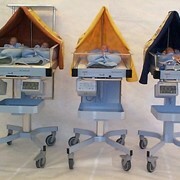 Patient mode switch - easily switch from adult to child mode without switching pads.